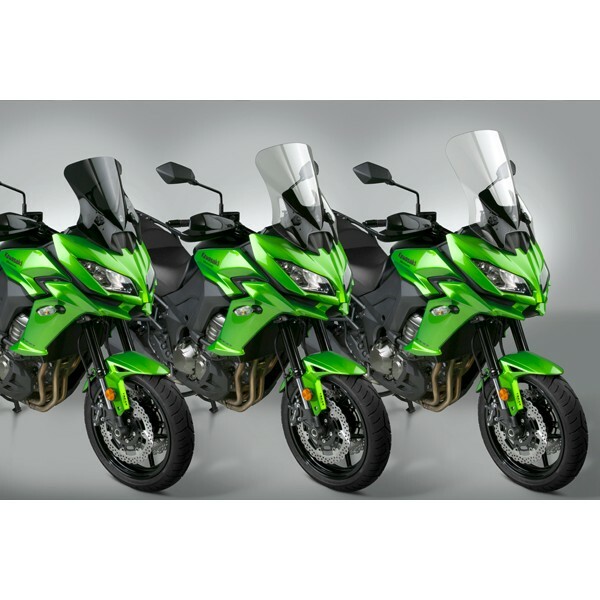 I have a 2015 Kawasaki Versys 650LT and I bought the middle-size VStream (the Sport/Tour #N20116,) primarily to reduce wind noise. After 200 miles, including plenty of highway use, I find that wind noise and turbulence are greatly reduced. I am very pleased. I’m 5’8” and I experimented with different height adjustments. The highest position is the quietist, and in summer I can lower the screen to send air to my helmet vents. 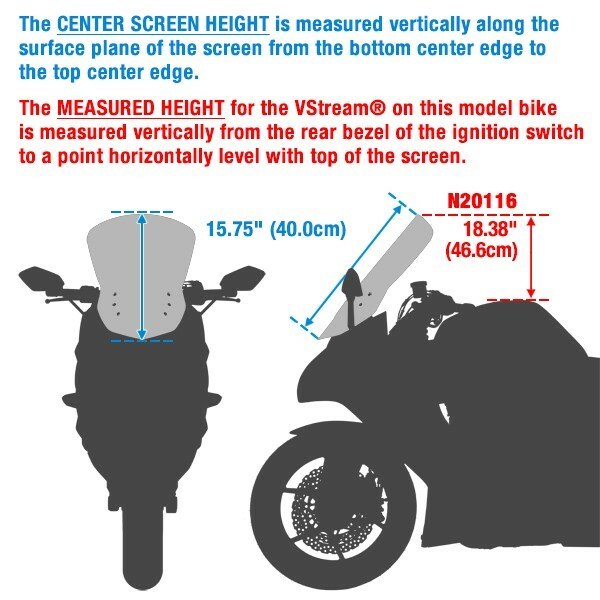 Compared to the stock screen the VStream N20116 is 2.75” taller in the middle, and 5” wider at the widest area near the top. Fit and finish are excellent too. And the mounting instructions were so thorough that I found the dealer installed the original screen incorrectly — it rattled and buzzed intermittently for a year and a half. Now the new one is tight and jiggle-free, the holes lined up perfectly, and I like the black finish that hides the fairing brackets. 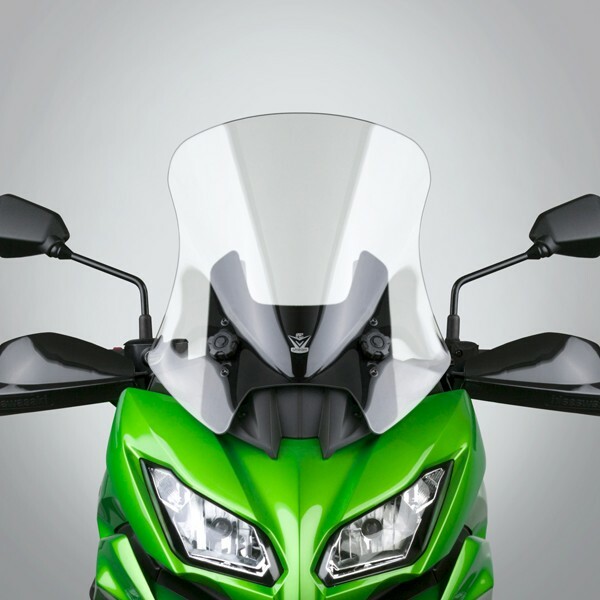 Just wanted to let you know I am extremely satisfied with my N20116VStream® Windscreen for my 2015 Kawasaki® Versys 650 LT. I had another brand with adjustable mounts on and could never get it to work for me. 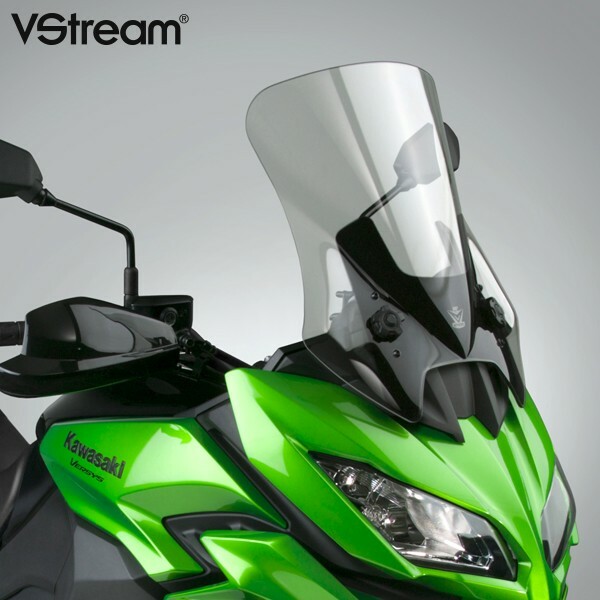 I ordered the VStream when I saw it was available on your web site before it hit the dealers because I knew there had to be something better. Your product is great. 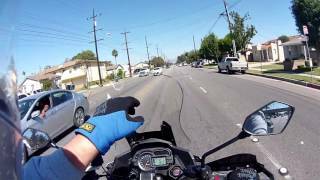 Helmet buffeting is reduced considerably and and wind protection is great. I can even ride with my modular helmet open and don't even know it. 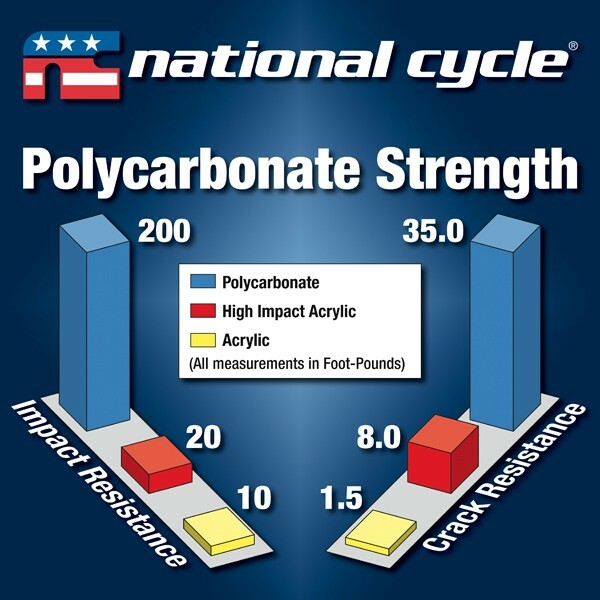 Great product and it even offers more protection across the shoulders than the other brand. 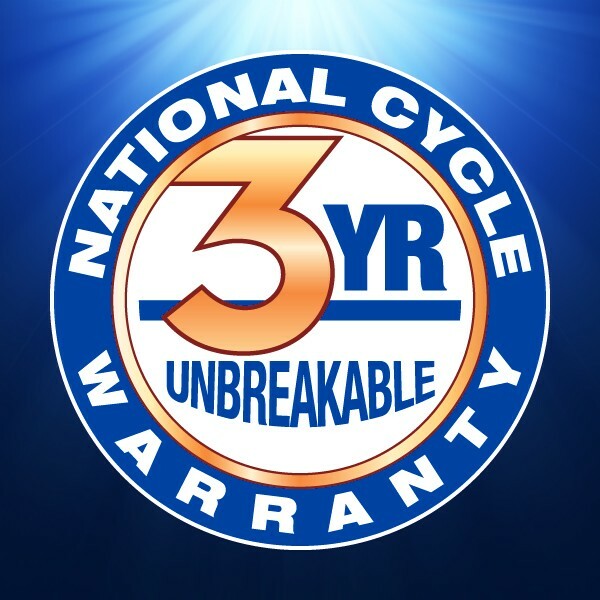 Plan to look you up at the AIMExpo to thank you in person. I am very well pleased with the N20116 VStream® Windscreen. 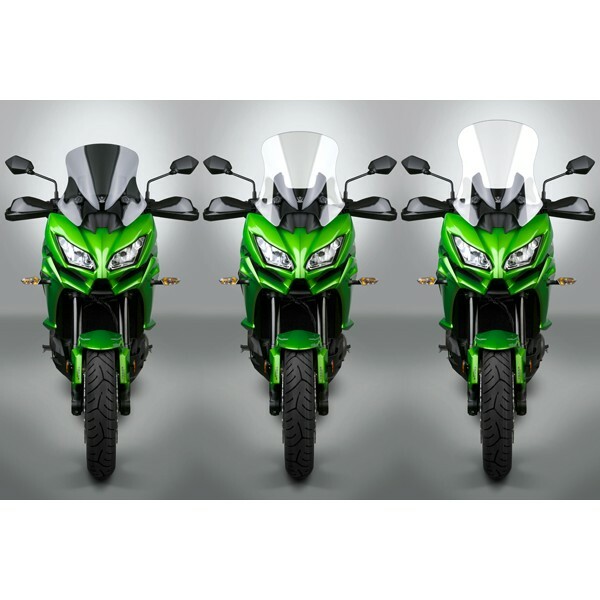 The wind protection is excellent, no helmet buffeting at all set at the highest or lowest setting on my Kawasaki® Versys 1000. Very little wind noise at the lowest setting and virtually none at the highest setting. The shape of the windscreen keeps the wind blast off of my head and body but does allow some light air circulation around my body which is welcome on a hot day, but not enough to be a problem in cold weather. I would highly recommend this windscreen to anyone, it is well designed and very high quality. 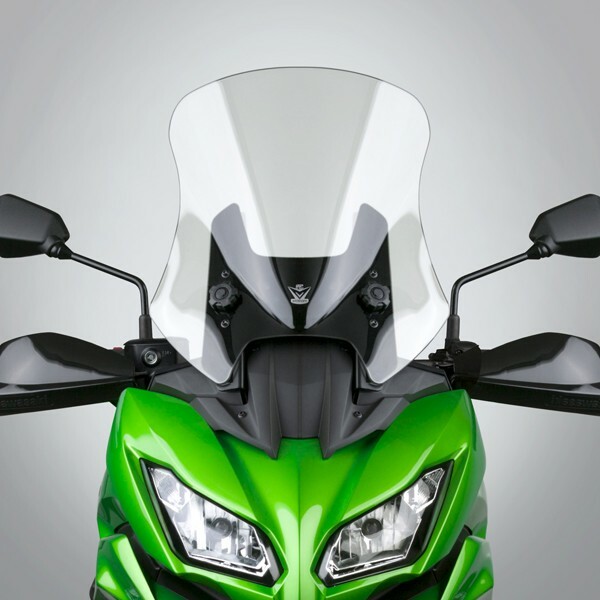 Just wanted to let you know I am extremely satisfied with my VStream screen for my ’15 Kawasaki Versys 650 LT. 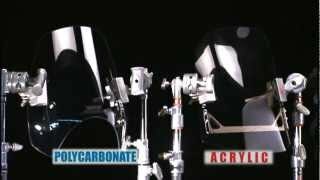 I had another brand with adjustable mounts and could never get it to work for me. 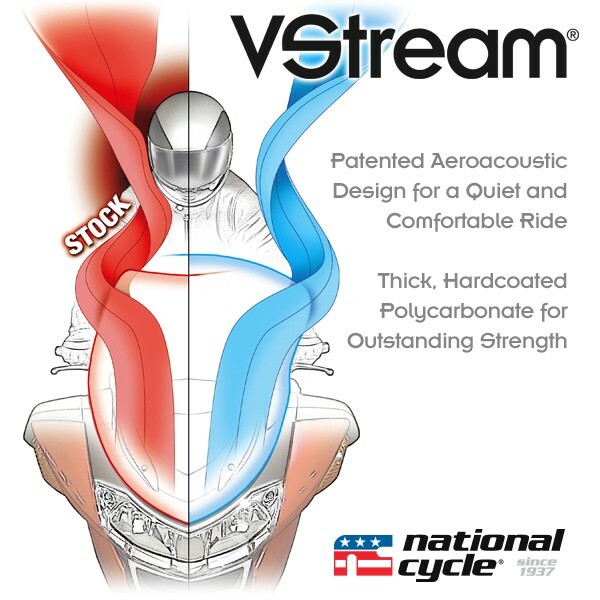 I ordered the VStream when I saw it was available on your website before it hit the dealers because I knew there had to be something better. Your product is great. 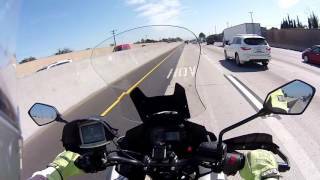 Helmet buffeting is reduced considerably and and wind protection is great. I can even ride with my modular helmet open and don’t even know it. 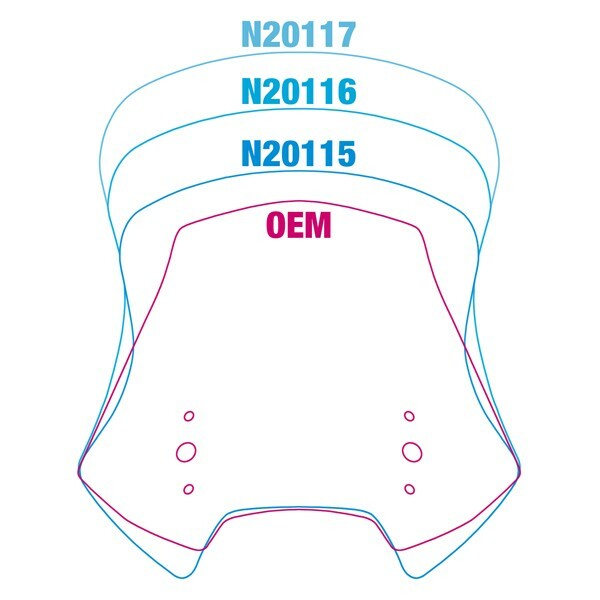 Great product and it even offers more protection across the shoulders than the other brand.